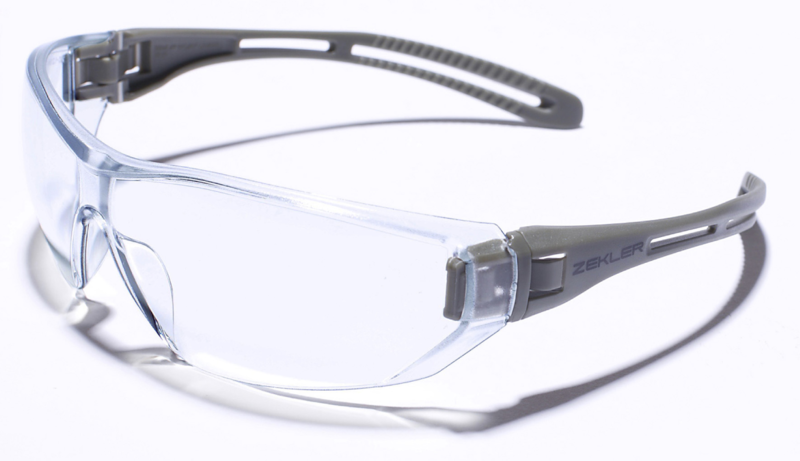 Very comforatble safety spectacles with sidepieces featuring grooves for improved friction. Hinge function embedded in the sidepieces and all-plastic. Weight 26 g.
Complies with EN 166, class 1FTN. Clear and yellow lenses compliant with EN 170 and grey lens with EN 172.